With the world marking one year to go until the opening of the Paralympic Games on 7 September, disabled residents at a care home synonymous with para athletics have received coaching from one of Britain’s most successful paralympians. The sports coaching was provided by Nigel Murray – winner of gold medals at both the London and Beijing games – to residents from Leonard Cheshire Disability’s Greenhill House in Somerset. Murray competes in ‘boccia’, a precision sport related to bowls and petanque that is popular among people living with mobility conditions. 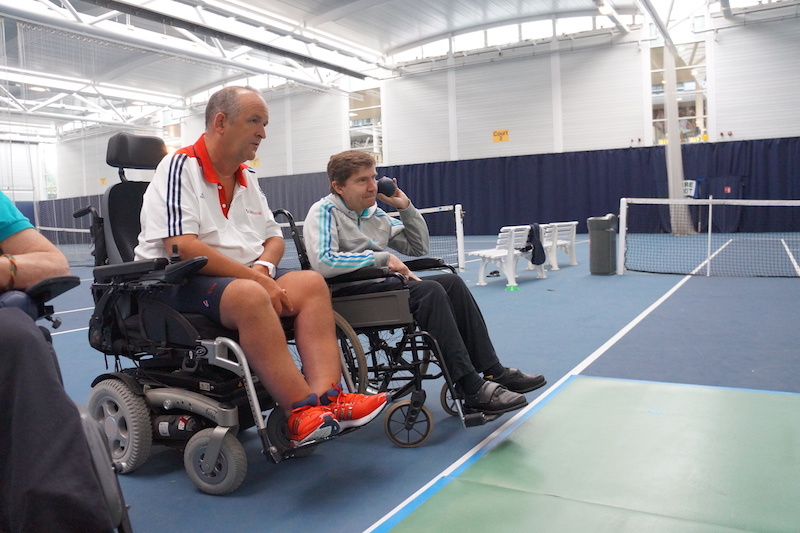 The British team captain provided one-to-one technique training at Bath University’s boccia court, built with London legacy funding. Leonard Cheshire Disability’s relationship with the Paralympics is developing, with an increasing number of athletes supporting us with physical activity and fundraising initiatives. Earlier this year, we supported National Paralympic Day by staging a residents-versus-staff boccia competition at Greenhill House. Swimming star Ellie Symonds recently supported Greenhill House residents during a boccia demonstration at Bath University. Paralympic sprinter Ben Rushgrove has also watched the team train this year. Leonard Cheshire Disability is also proud to announce its new status as an Associate Member of the English Federation of Disability Sport (EFDS). Building on our commitment to inclusion, we will work with EFDS to ensure more disabled people can be active for life. Leonard Cheshire Disability’s ‘Get Into Sport’ guide is available here. Be the first to comment on "Paralympian provides care home coaching as Rio Games reaches milestone"